Get premium, scratch-resistant protection for your compatible 5- or 6-inch device¹. 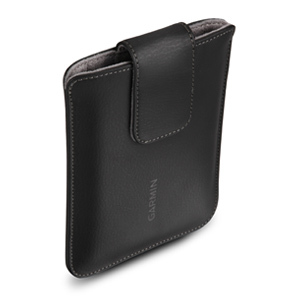 This sleek leather case supports your nüvi® while the soft fabric interior provides dual all-around protection. The case closes with a magnet. ¹This case is not suitable for Garmin DriveAssist™, nüviCam™, or dēzlCam™ devices.